New Inverters offer electricity during Grid Outages! The new line of SMA residential inverters comes complete with a secure power supply feature (SPS). High Peaks Solar will install this SPS for you as part of our standard residential solar installations. 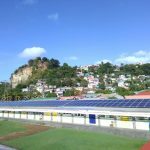 The SPS will allow the homeowner to use limited electricity directly from their solar panels in the event of a grid outage. If there is more than one inverter in your project, High Peaks Solar will include an SPS on each inverter! For more technical information on how the SPS feature operates, please see here. Businesses and homeowners are allowed to take a 30% Federal Tax credit with the purchase of a photovoltaic (PV for short) system. This tax credit is uncapped and applied to the total project cost. As it currently stands, the Federal Tax credit is schedule to expire at the end of 2019. In order to qualify for this credit, a PV system must be installed prior to the end of 2019. Homeowners would use IRS Form 5695 to recoup this credit. Business owners would use IRS Form 3468 to recoup this tax credit. For more information, please contact High Peaks Solar! Homeowners (residential only) are allowed to take a 25% New York State tax credit with the purchase of a PV system. This program caps the New York State tax credit at $5,000.00. This credit is applied on the total cost of the project. To claim this tax credit, a residential customer would use NYS Form IT-255. For more information, please contact High Peaks Solar! 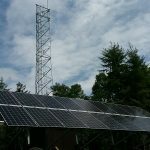 NYSERDA offers a non-competitive incentive program to assist with the purchase of a PV project. 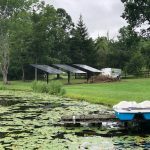 The program is called the NY-Sun Incentive Program and in order to qualify, a PV system must be grid interconnected and apply with all applicable net metering rules. A customer must pay into the renewable portfolio standard (RPS) on their utility bill. The incentive is based on the number of PV modules that is purchased. Incentive funds are first come, first serve. NYSERDA has created a page to track what the current incentive level is and when the next decrease in funding may occur. Read about NYSERDA’s current incentive levels. 25% of the total project cost can be qualified under the USDA's Renewable Energy Assistance Program.